I love colour and personality when it comes to things for the children and the gorgeous designs that Cosatto bring out are what first attracted us to their products over 3 years ago when Dylan was small. We chose a little monster stroller for our little monster, and three years on it is still going strong. 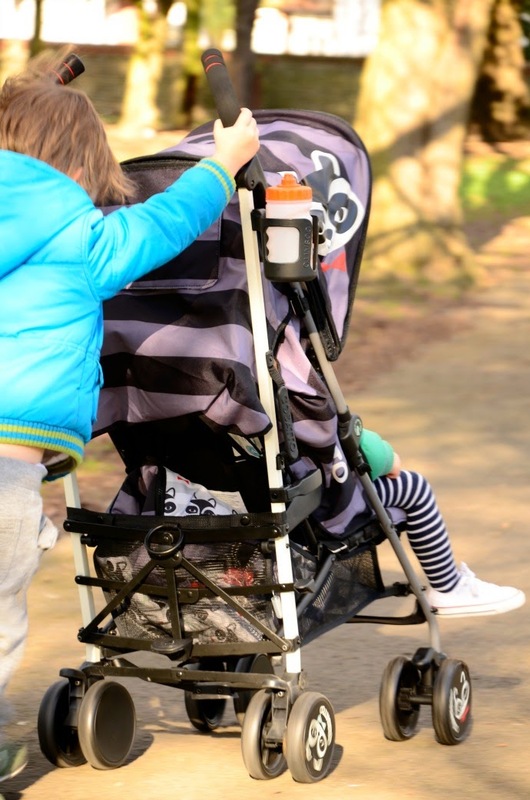 We were offered the chance to try their newest stroller recently, the Supa and it has all the great features we love from our old stroller, but with so many more too. 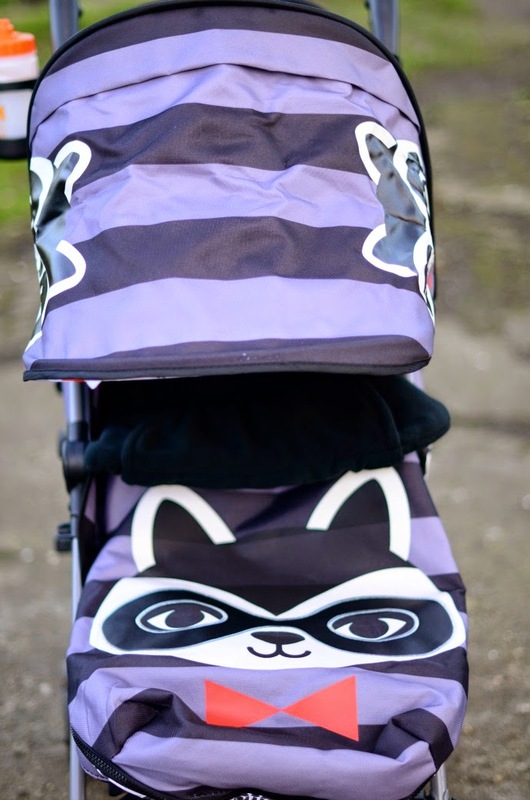 Our stroller came with the Racoon Riot design, black and grey with an adorable animal emblazoned across it,and it was really easy to put together straight from the box. 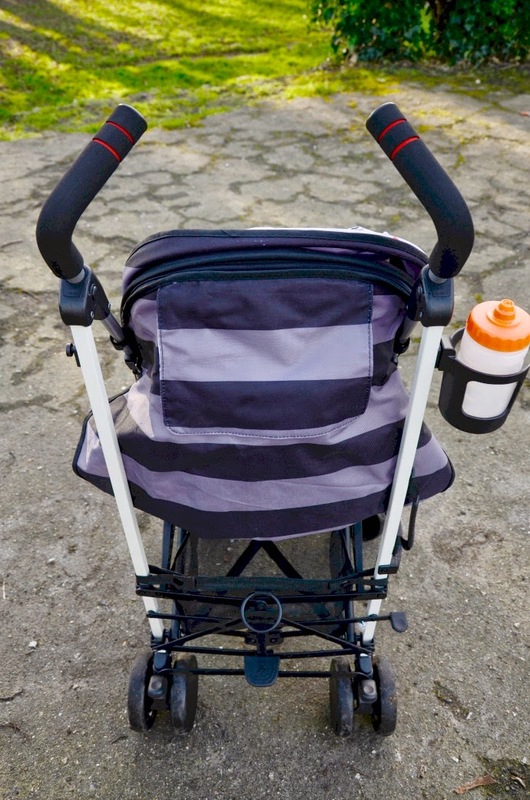 The stroller comes with raincover, cup holder and cosytoes included which saves having to buy expensive extras (the cup holder is a definite hit!). 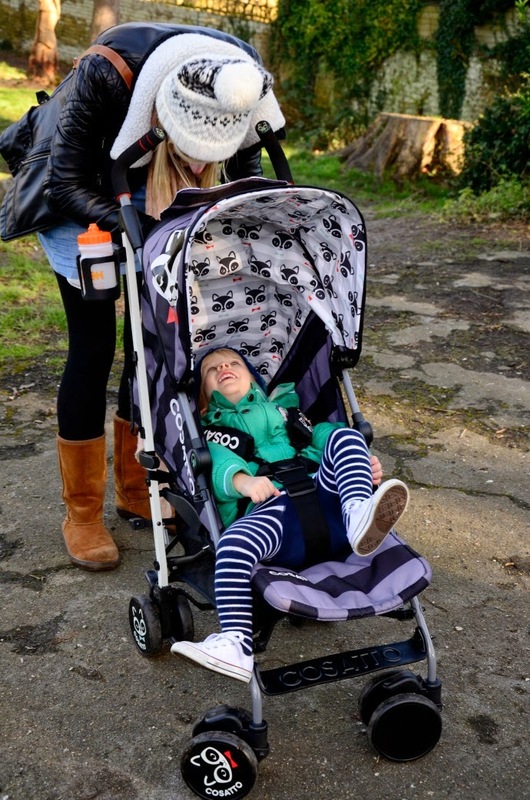 The stroller is a great size and is more than spacious enough for Archie (who is very nearly 2 and quite tall). He can climb in himself which is making life easier as my bump gets bigger and in the way more, and the harness is easy to adjust and use. The hood is huge, especially compared to our previous stroller, and comes down completely blocking all sun. 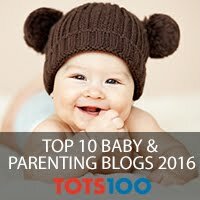 I like this feature as you can make it really cosy and dark for nap times, or to protect a younger baby. The hoods now come with a pocket that you can slip a tablet in, which seems rather a strange idea to me and not one that I see us ever using, but should you want to, you can lie your child down and put something on for them to watch. 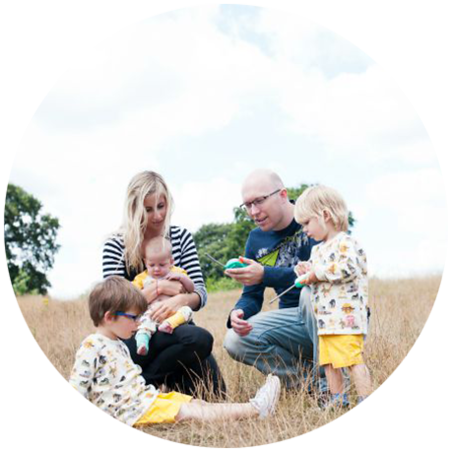 You could use it for some family photos or a little picture book too and I still remember how intently Dylan used to stare at the washing instructions in his old carrycot! It also has a little peep hole to check on your sleeping child without walking around the buggy. 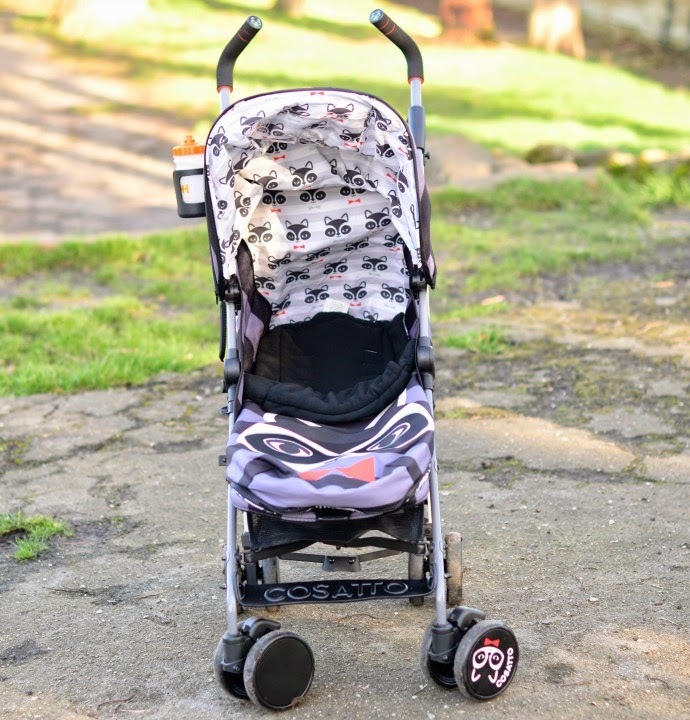 My favourite thing about the Supa are the little details - the raccoons on the wheels and on the handles (which are also extendable and come up perfectly for the taller parent - I am 5 foot 9 if that helps visually). The little pocket in the back, which can be used to attach an mp3 player to the inbuilt speakers, or to store a phone or something small. 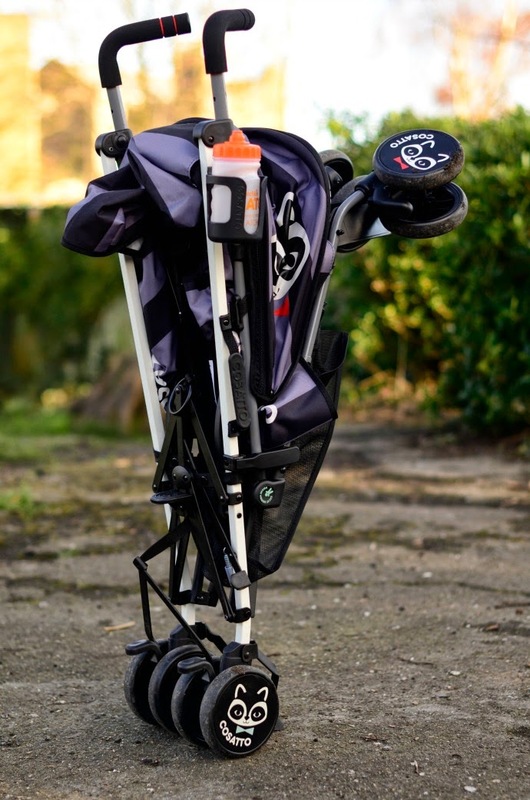 The fact that the raincover covers the whole buggy, meaning a changing bag doesn't get wet (although it is very bulky to store) and the fact that everything is covered in the gorgeous design. I have found the footmuff to be quite small, although for a little one it is lovely with pockets for little hands and a reversible liner. Archie isn't comfortable in there so we haven't used it but I am sure we will when our newest addition arrives. 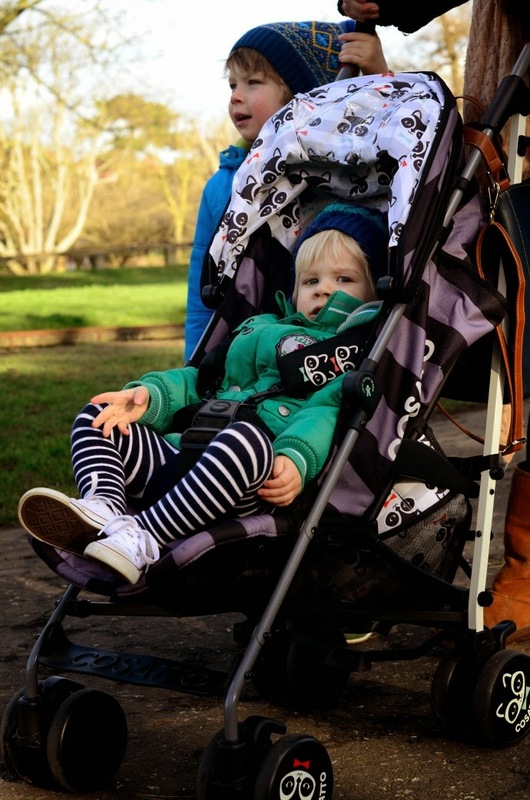 When the Supa is folded, it is compact and free standing - A definite improvement on our older stroller. 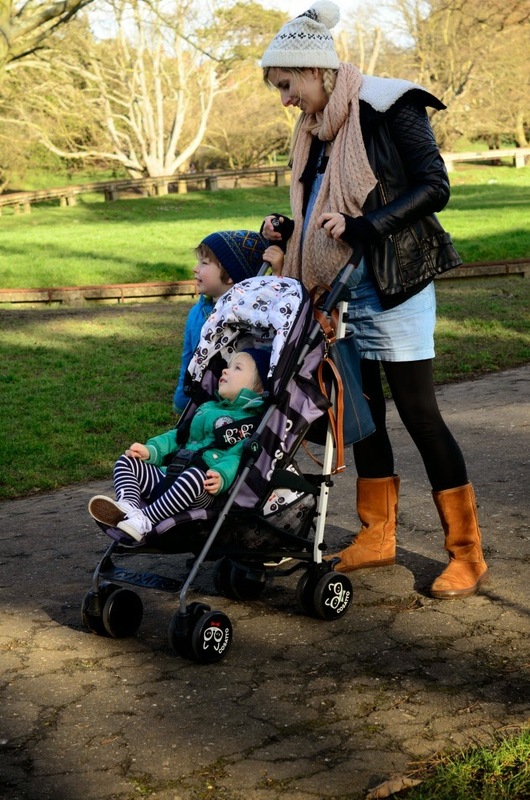 It isn't the lightest stroller around but in exchange it feels sturdier and well made. 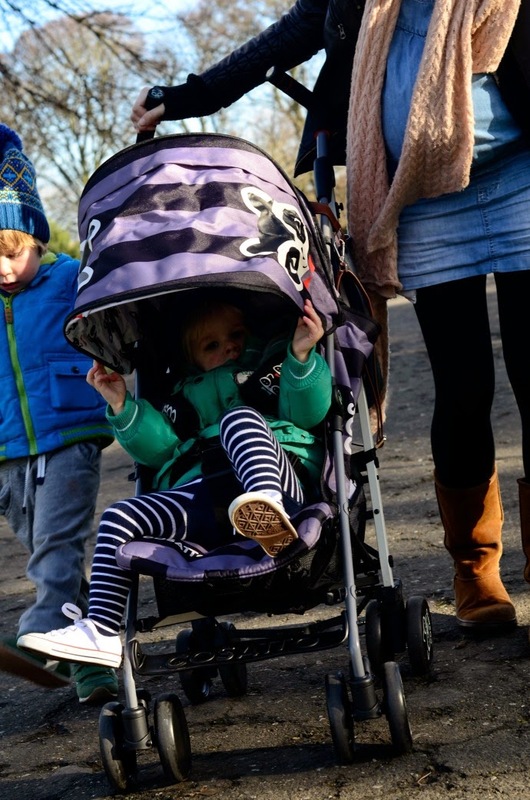 Overall, we love this stroller. 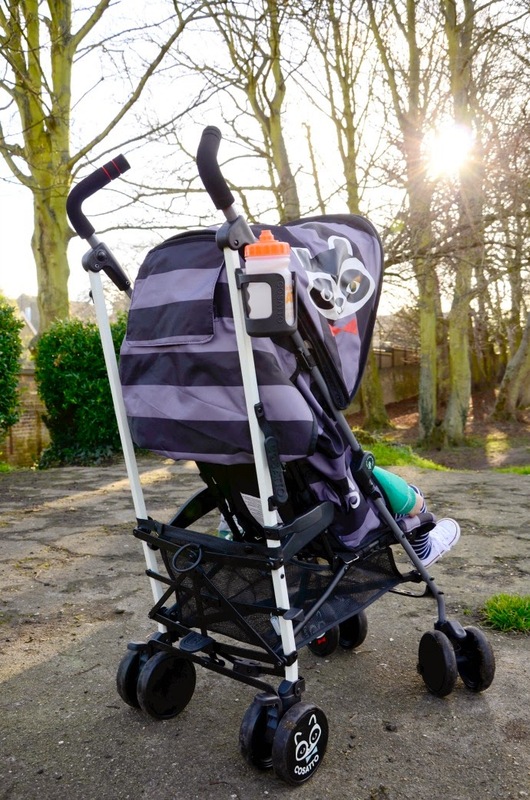 The Supa is unique, it is bound to turn heads, it is full of personality and has so many features that make life easier for us as parents. Racoon Riot is a unisex design that stands out without being overly bright and most importantly, Archie is happy in there. 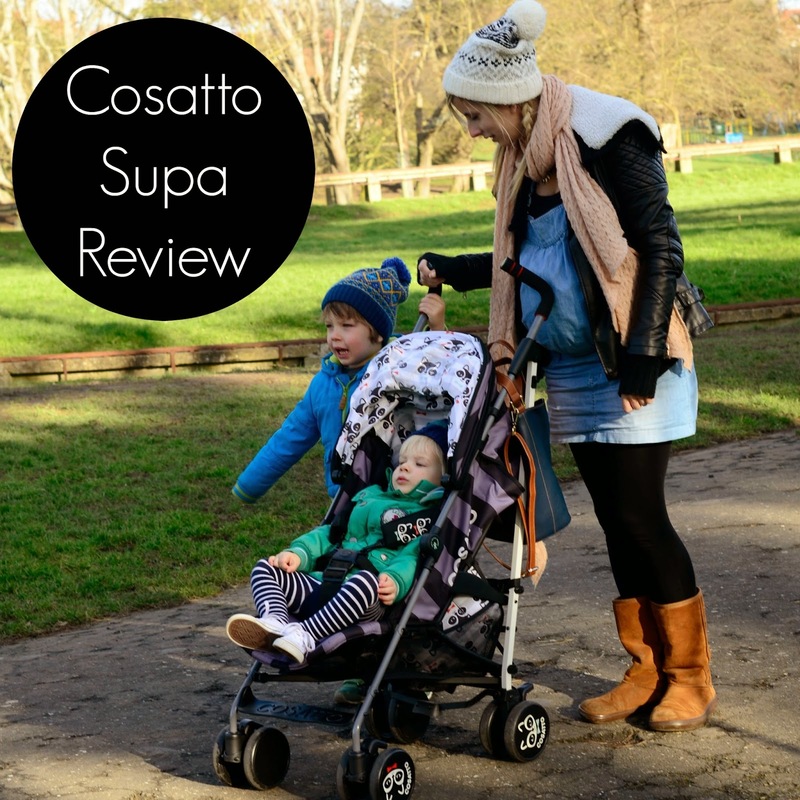 Disclaimer: We were sent this stroller for the purpose of this blog post as part of our role as Cosatto Brand Buddies. All thoughts and opinions are completely my own. We have this in foxtrot and love it but the footmuff is a let down. It lasted us just a few months and Felix isn't even tall for his age. Such a shame because I love it, it's an awesome buggy. I just love the racoons on the wheels!! Though a tablet pocket in the hood has me utterly baffled - I think I'm with you on not really seeing us ever using something like that - but perhaps you could fit a small board book in it? 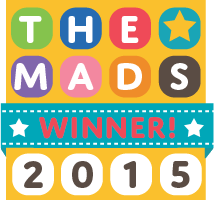 Fantastic review. I have heard so much about Cosatto. We wanted to test one out for our USA summer this year. They look fab.